Ariti Hotel is located in Kanoni, Corfu, and it features both rooms and suites. All units are equipped with private balconies, air-conditioning, mini fridge, bathroom with amenities, TV, telephone and free wifi. In Ariti Hotel visitors can find free parking area, swimming pool, pool bar, children's pool, restaurant, lounge area and a bar. The complex can host various events, such as business meetings, seminars, wedding receptions and more. Staff at Ariti Hotel is willing to facilitate visitors at the 24-hour reception desk with requests like room service, wake up service and many more. Centrally located in Corfu Town, Bella Venezia Hotel is an old building with rich history, as it used to be a consulate, the National Bank of Greece as well as a high-school for girls. Finally, it was turned into a lovely, charming hotel offering commodious and sumptuous accommodation. It comprises 30 commodious rooms and one lavish suite. Guests staying in Bella Venezia can enjoy all the essential comforts and amenities, such as a private bathroom, air-conditioning and stunning views of the surroundings. Corfu is a cosmopolitan town offering many tourist attractions, cultural events and a vivid nightlife. Cavalieri Hotel is built in the core of that magical town, with views to the most important sights, the Old Fortress and Spianada square. Cavalieri hotel, previously a mansion, provides luxurious traditional rooms equipped with modern conveniences, such as A/C, wi-fi, TV, radio, hairdryer and mini bar. With finesse and elegance the City Marina Hotel offers comfortable accommodation in the centre of the magical Corfu town. The hotel is located in the popular Spianada, close to many sights, like the Old Fortress, restaurants and bars. All stylishly furnished rooms and suites of City Marina Hotel are fully equipped with functional amenities and allow impressive views to the sea and the old town. From the hotel you can enjoy the spirit of the town in the privacy of your balcony or easily access all places of interest with just a short walk around town. Corfu Mare Boutique hotel is a 3 star complex located in the area of Kefalomandouko in Corfu and offering a wide range of facilities. Guests can swim at the swimming pool, relax at the Jacuzzi or receive beauty care treatments. There is a restaurant and a café-bar available, as well as free Wi-fi throughout the hotel. The tastefully decorated rooms are fully furnished with private bathroom and balcony or terrace. 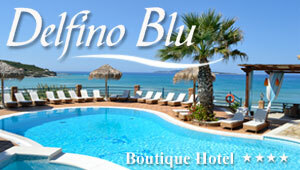 The 5-star hotel Corfu Palace is really close to Corfu Town, having an outstanding sea view. Every room features a balcony or terrace, a marble bathroom with hairdryer, air conditioning, mini bar, satellite TV, telephone and safe box. Corfu Palace Hotel boasts various facilities and amenities as well. There is an outdoor and indoor swimming pool with salt water, a poolside bar, a garden bar and a casino. At the hotel\'s spa, guests can relax with several seawater therapies that will offer them a unique sentiment of relaxation and tranquility of mind and soul. The luxurious Divani Corfu Palace is located in the beautiful Kanoni, a place of unique beauty with green hills and majestic lagoon views. The 4 star hotel is a short drive away from Corfu centre, close to tourist attractions, cultural events and vivid nightlife. It offers elegant guestrooms and junior suites, equipped with A/C, TV, phone, mini bar and more comfort amenities. A place for enjoyment and pleasure, Divani Corfu Palace provides leisure facilities. Guests can enjoy a dip in the swimming pool, horse riding, and many games. The complex of Folies Hotel Apartments is located in Alepou area, only 2 minutes from the picturesque town of Corfu. The apartments are all fully equipped wit kitchen, private bathroom and beautiful yard with trees and flowers. Guests can enjoy the large swimming pool and a drink at the cozy pool bar. For the “little” guests there is a children’s swimming pool and a playground.